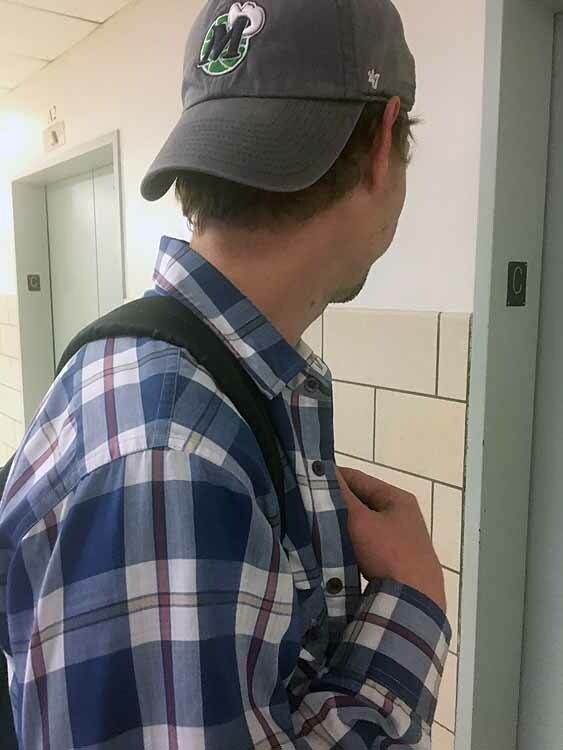 Jason Lewery, 25, an English major and a senior, said his first few weeks this semester were “good.” His classes, he said, that were “no struggle, not too hard.” Lewrey was one of four who said in their interviews for this article that their academic loads at the start of this academic year weren’t that heavy. “I like my teachers and I’m interested in what I’m learning,” he said. He also said, “My favorite class right now is Workshop in Non-Fiction 1 because I really enjoy the class exercises.” He doesn’t like the commute. “Commuting from school is tough, it takes me 45 minutes,” he also said.” He was interviewed in the C level basement of the North Building, and said he was shy but agreed to have his picture taken but not with him facing the camera. 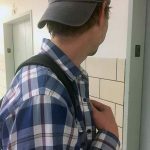 He wore his hat backwards and wore a plaid shirt and sported a black book bag. 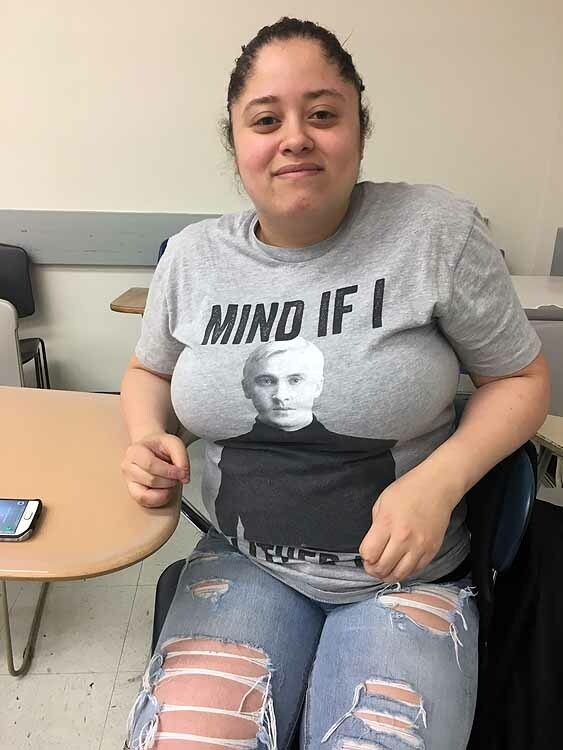 Karly Weinreb, a psychology graduate student, 25, said that the Hunter graduate school was “good but overwhelming.” She also said, “It is weird to be back in school, but I like my classes. My favorite class is pro seminar research, it is about language.” Although Weinreb did not attend Hunter as an undergraduate, she said she was “enjoying” the graduate program. It helps, she said, that her “best friend,” Rebecca Saltznan, 25, enrolled in the School of Education, is here on campus. Saltznan said she was starting her graduate program full time “with a bang after being two years out of college. In her time off from school, she “tutored, did teaching, and was a camp counselor,” she said. The friends went to separate undergraduate programs but decided to go to the same campus for graduate school. They both wore black sweaters and pants, along with shoulder bags and small heels. They were interviewed in the West Building on the third floor. Neither wanted their pictures taken. Damaris Dedes, 22, English major, said she had a “good” first few weeks. A downside, she said, was that “all my classes are English so there is a lot of writing, and a lot of money was spent on books.” She also said, “I was sick and fell behind but I was able to catch up.